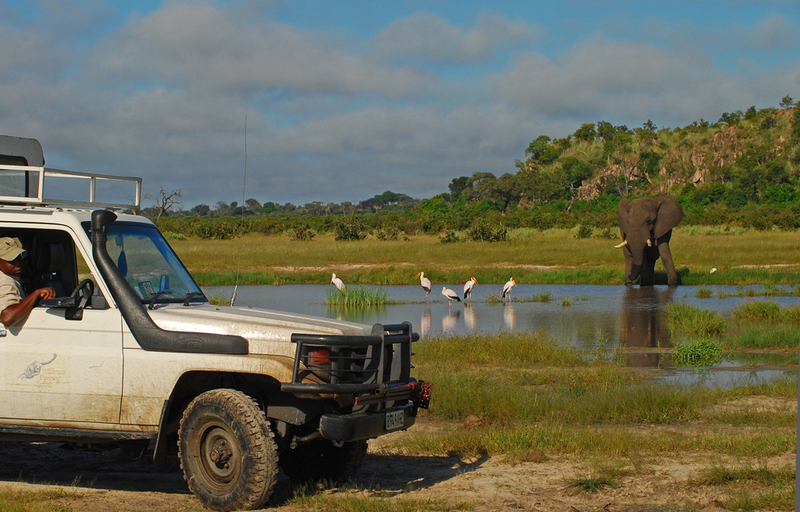 Botswana’s reputation as one of the very best places in Africa to see wildlife in unspoiled habitats goes hand in hand with the common perception that it is also one of the more expensive destinations to go on safari. 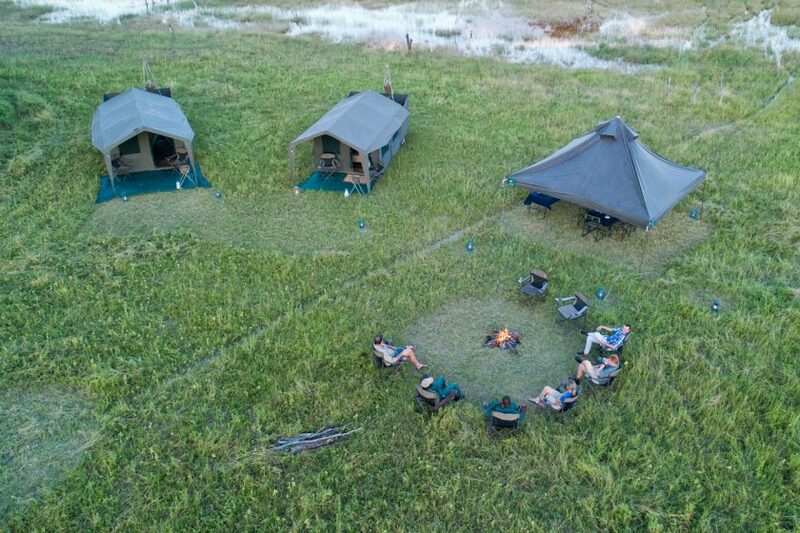 Whilst it is certainly true that there are a few lodges with nightly rates that will make you eyes water, it is also true that, with a little bit of planning, Botswana can be very affordable. 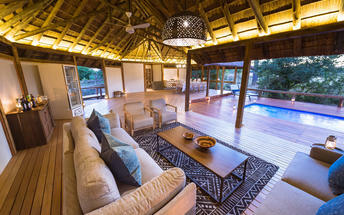 Choose one of the smaller lodges. 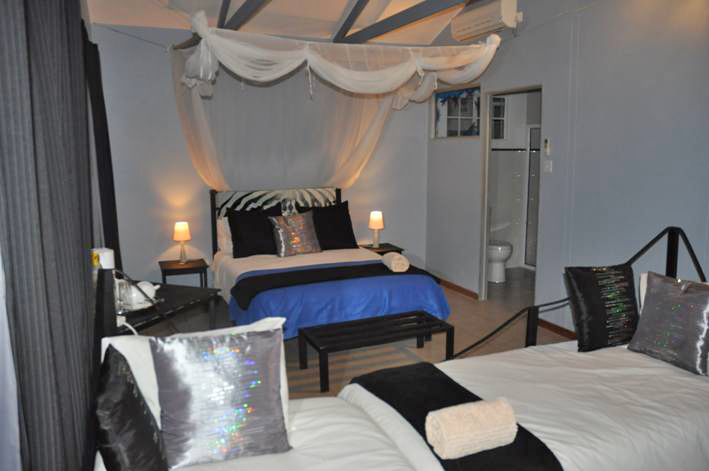 If you’re starting your safari in Kasane, then you won’t find better value than The Old House. 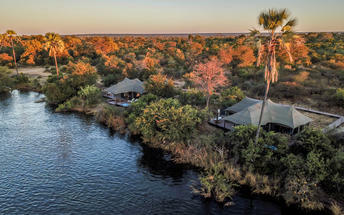 Located beside the Chobe river, The Old House offers clean simple accommodation at at great price. The congenial bar and restaurant is one of the best places in town to meet fellow travellers. Prices US$ 95 per person sharing on bed & breakfast basis. The green season is when the vegetation is at its most lush and without the need to congregate around permanent water bodies, the animals are more spread out. 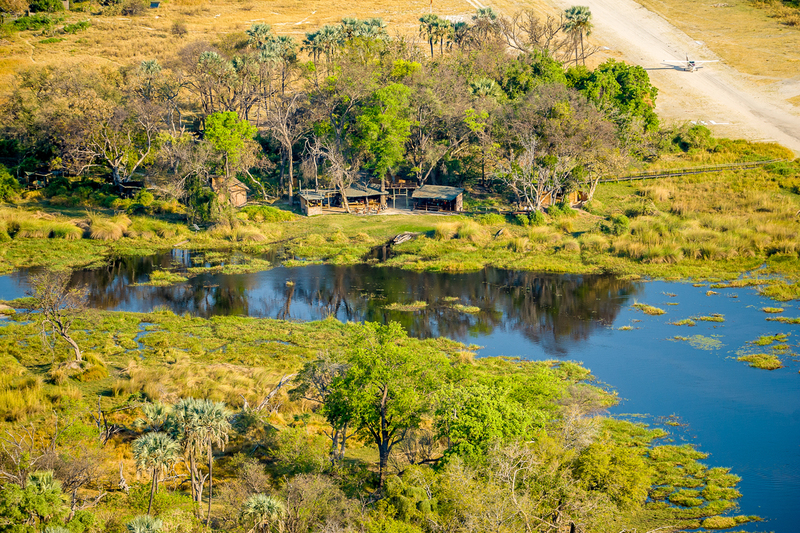 It is a more pleasant time to travel, avoiding the dry dusty conditions of summer, and it is the time when many of the lodges offer amazing savings on their high season rates. Accommodation is in large tents set on elevated wooden decks, and shaded by shelters or trees. 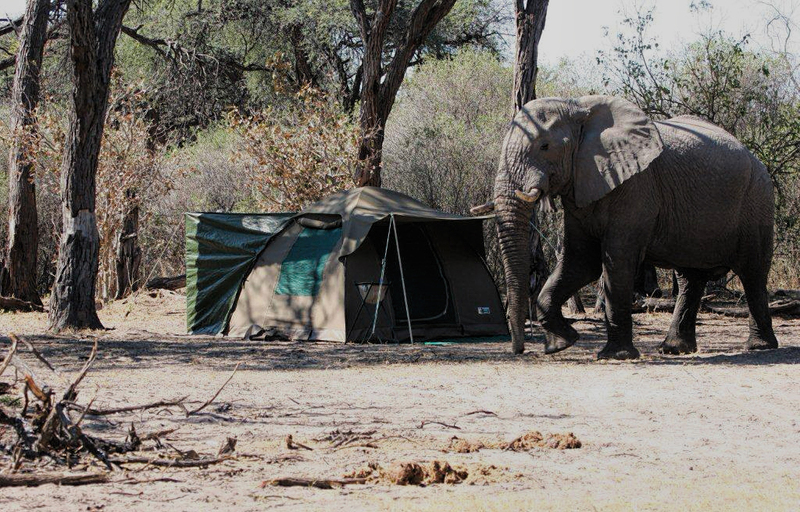 Each tent is equipped with bedding, a storage trunk and a light. Beautiful outdoor showers and ablutions are en-suite. 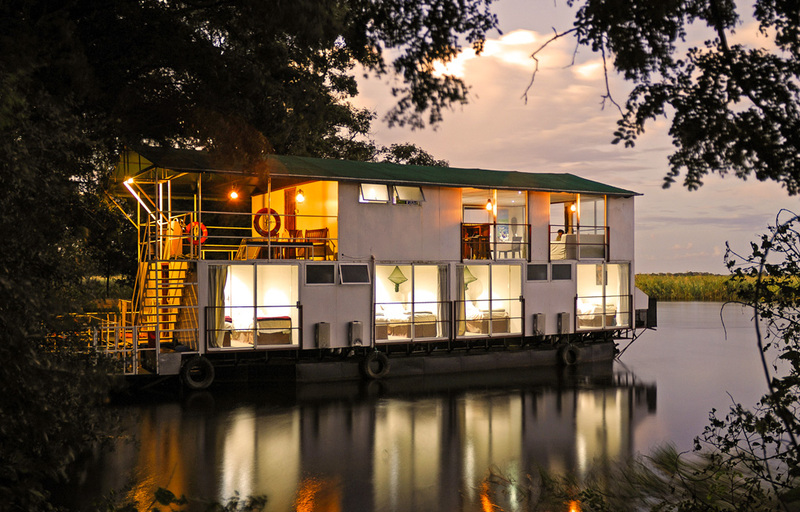 The central bar and lounge area has comfortable chairs and sofas, a selection of books and games, and raised viewing decks overlooking the sweep of the delta – the perfect place to sip a sundowner and watch the sun set over the palm trees, and view whatever wildlife may be visiting. 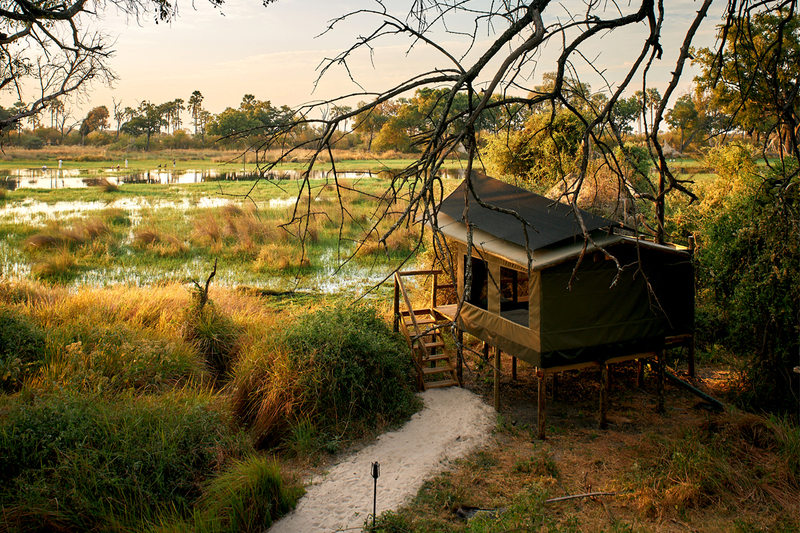 From the starkly beautiful desert landscapes of Mkgadikgadi to the lush waterways of the Okavango Delta, this safari highlights the contrasting habitats of Botswana. 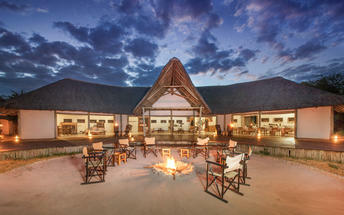 Finish up with 3 nights at Victoria Falls, one of the Natural Wonders of the World. Don’t miss out. This offer is only valid for travel until 31 March 2019. 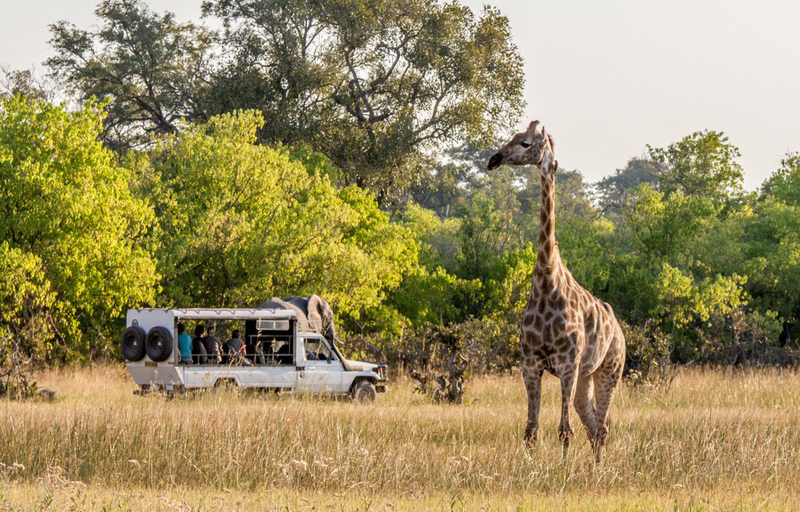 By joining one of our recommended small group safaris you can take advantage of the cost savings that come with group travel. Don’t worry, the maximum group size it just 8 people. US$4,245 per person sharing. Max group size 8 persons. from US$ 3,310 per person sharing. from US$ 3,290 per person sharing. We’ve got lots more suggestions to help your travel budget stretch a bit further, so drop us an email or give us a call to find out more. We look forward to hearing from you. 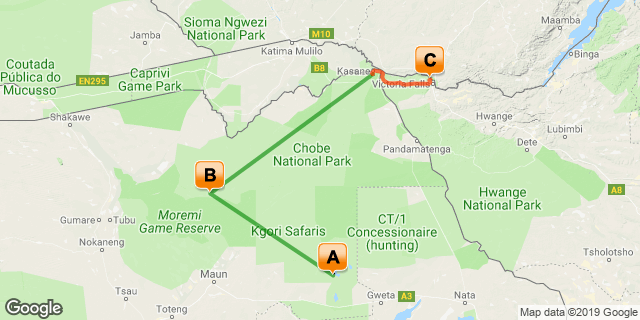 Next Post:Ngorongoro Crater, is it really a ‘must see’?